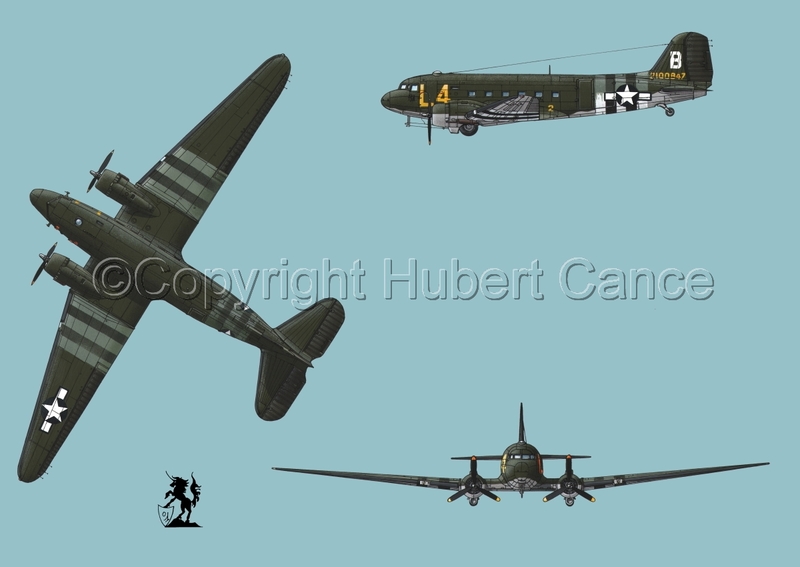 Douglas C-47 "Skytrain", SN°42-100-847, of the 50th. Troop Carrier Wing, 91st. Troop Carrier Squadron, 439th. Troop Carrier Group, 9th. Air Force, of the USAAC, piloted by Lt. Lepard, over Holland, 17th. September 1944.